Your members can connect with their elected official – local, provincial or federal – one click after entering their postal code! 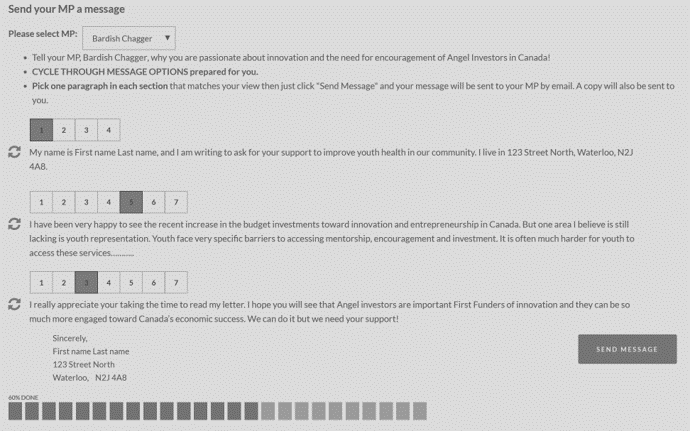 To find the appropriate elected official your Campaigner simply enters their postal code, selects the level of government representative they wish to reach, and just that quick they can have their email browser opened and addressed to send a personal message that they may wish to compose, directly to the elected official. 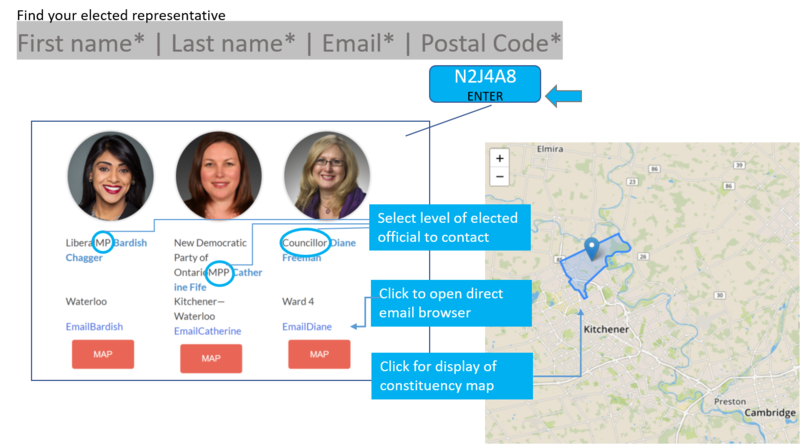 Since constituency boundaries vary for different levels of elected official the Advoc8tor mapping feature is provided for individual Campaigners to drill deeper into their local area to confirm the elected representative they wish to reach. A digital advocacy campaign gains momentum and credibility as local campaigners reach out to their elected officials from multiple jurisdictions right across the country. But, it is always easier to edit than to create one’s own content! With the amplifi Advoc8tor campaign software the lead organization can prepare approved message concepts and components from which the Campaigner simply selects relevant sentences to compose their message to their own elected representative. 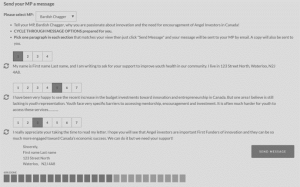 Campaigners develop their personal customized messages by selecting from a list of approved and pre-populated options ensuring campaign messages are consistent and reinforcing of the overall advocacy effort. email and social media options are populated and available for campaigners to quickly complete and send their messages directly through the appropriate channels with a simple Quick Click.